26 Oct Just when you thought it was safe to take a selfie . . .
Have you noticed a large amount of hollowed out orange-coloured vegetables showing up on people’s doorsteps? Have you been to your local grocery store and thought to yourself: “There sure is a lot of candy in here?” That’s right, it’s HALLOWEEN! 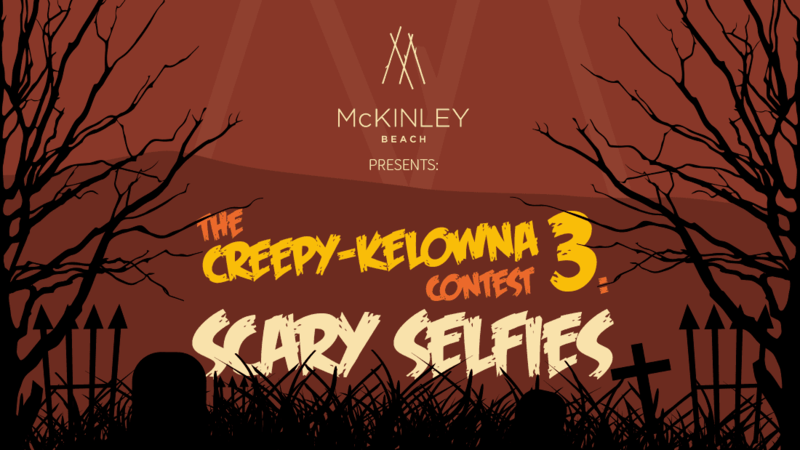 It’s time to dress up and win with the 3rd Annual Halloween contest from McKinley Beach . . .
Take a picture of yourself in costume at the McKinley Beach entrance way at the end of Shayler Road. That one picture that makes us go ‘awwwwww’. – You must have rights to use the photo you’re entering and it must feature yourself or a consenting family member/friend. – The contest opens on Wednesday October 26th and closes on Friday November 4th at 9:00am with winners to be announced on Friday November 4th at around noon. – Don’t forget to share this post and encourage others to ‘Like’ your image! Visit the McKinley Beach Facebook Page to submit your entry!